Get your park passes ready. The Minnesota Department of Natural Resources is opening Lake Vermilion-Soudan Underground Mine State Park on Tuesday — the first new state park in 25 years. 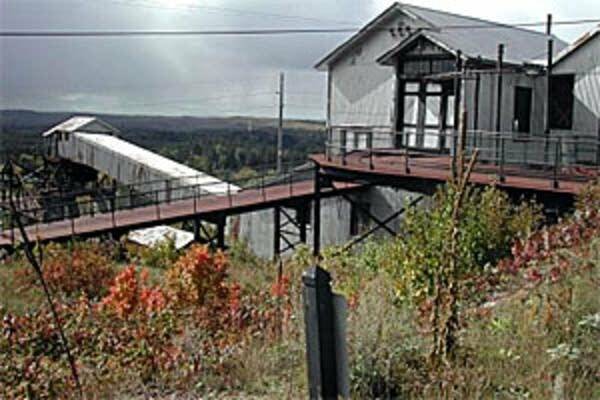 Campers have the chance to travel a half mile underground by cage to explore Minnesota's first iron ore mine, and take a train ride into the mines to learn about the life of a miner. Don't forget to bring a sweater though — it's only 51 degrees underground. The state park includes the addition of newly paved paths to the Mesabi Trail. The new trails connect the campgrounds and allow bikers to travel into the town of Soudan. Open skies make Lake Vermilion-Soudan Underground Mine State Park ideal for stargazing at night. Campers staying in the Maang Group Camp will have an especially open area to view the Mooz Constellation, named for the Ojibwe word for moose, whose appearance the stars mimic. Science fiends rejoice — the new state park is about to rock your world. The park is home to exposed iron formations throughout the park, drawing in attention from geologists and tourists alike. Historically, the exposed formations are what brought interest in mining to Minnesota. Visible iron deposits are an indicator that a site would make for a good iron mine, according to Dawn Voges, the assistant park manager. As a new feature to Minnesota state parks, campers can now stay together regardless of how you camp. If your party is split between an RV and a tent, you now have the option of staying together at the Ojiig or Maang group campsites.